Perhaps the biggest classical music event in 2012 was the one that didn't happen. We had London 2012, with the associated Cultural Olympiad, but you can't help feeling that in terms of classical music, a trick or two was missed. 2013 is the Britten centenary and the plans for the Britten 100 celebrations show what can be achieved by cooperation. But for London 2012 there was plenty of activity, though many of the commissions seemed to go into events which were rather more combined arts. Despite the cultural remit of London 2012 there wasn't the feeling a great single classical cultural event. We did get a few goes at L'Olympiade including a staging of Vivaldi's setting, and a composite performance based on a number of settings, but I can't say the opera really stood out for me. The interesting thing about talking to composers, is discussing their attitude to their music. 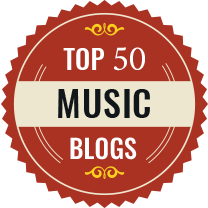 Writing music can be a highly non-verbal art, and not everyone can explain how they write. 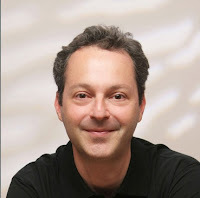 But Nimrod Borenstein is highly articulate on the subject, so in my interview with him (see the first part of the interview), we discussed his writing at some length. Borenstein says that his music is not text based and feels that it is entirely abstract. When writing a new work, the most important decisions to be made are about length and instrumentation. One these are agreed, then contrast becomes important, where is this to come from, will the work be in several contrasting movements or a single one with contrast built in. He has a clear idea of the feelings that he wants to create and quotes Stravinsky who suggested that composing is like sculpture, finding the piece’s true form. In 1951 Vaughan Williams' opera The Pilgrims Progress was premiered at Covent Garden. The composer was 79 and had been working on the piece on and off since the 1930's. But rather than a magisterial summing up of a career, critics found themselves presented with a work which didn't quite seem an opera at all. It did not help that RVW had found Covent Garden's presentation unsatisfactory, particularly in the Apollion scene. The composer felt vindicated when the University of Cambridge's production of the opera in 1954 showed it up in a far better light, but the opera's reputation never quite recovered. The production of RVW's opera was part of the general celebrations for the 1951 Festival of Britain with the idea of celebrating British music as well. Quite a number of operas were written, but few were performed and the whole era has gone down as something of a wilderness, with Britten a lone voice (Billy Budd was also premiered at Covent Garden in 1951). Undoubtedly Britten was a genius, but other composers from this era created a genuine body of interesting operatic work which still deserves re-investigation. You might not have heard of Monika Pagneux and if you've seen her work, you probably were not aware of it. Her inspirational way of working allows actors to find a flow or unity between their inner psyche and its outer expression. Truth becomes the source of creativity; actions are a result of being, not thinking. Pagneux learned mime in post-war Berlin, studied with Jacques Lecoq in Paris and in Barcelona discovered the work of Moshe Feldenkrais. Feldenkrais's she appreciated for its ability to 'wake people up' and also because it is 'neutral' - you don’t see the training in the body on stage, unlike other training techniques such as classical ballet, acrobatics, or some martial arts where you can often spot someone trained in a particular style from their distinctive walk and stance. Actors need to be to find a dynamic, ready, available ‘neutral’ and from there, to do, create, express the fullest range of humanity, to be able to do whatever they want, effortlessly. Now Robert Golden has produced a book and a film about Pagneux's work. 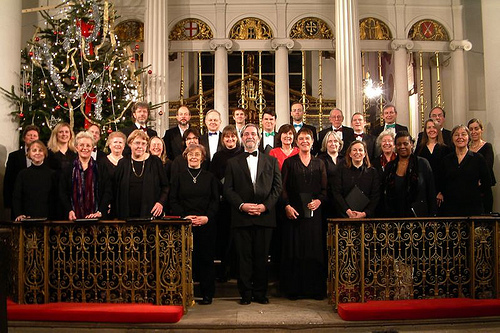 The Brandenburg Choral Festival opens tomorrow night (29 December) at St Martin in the Fields with a performance of Handel's Messiah from the Delphian Singers and the Brandenburg Baroque Soloists. 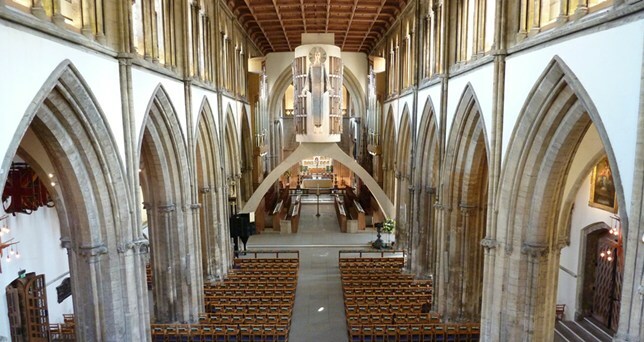 Concerts run until 6 May 2013 and cover a number of venues, St Martin in the Fields, the Queens Chapel of the Savoy, the Chapel of Kings College, London, St. John's Waterloo, the National Portrait Gallery, St Clement Danes Church and the Temple Church. With a total of 66 concerts in all. Peter Nichols play Privates on Parade was written for the Royal Shakespeare Company and first performed by them in 1977. 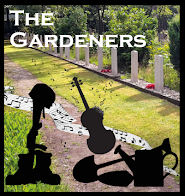 Billed as a play with songs, rather than a musical, it is about a forces concert party in South East Asia in the 1950's, based on Nichols own experiences in Combined Services Entertainment, the postwar successor to ENSA. The show is entertaining, but with a serious edge, even when being extremely funny Nichols writing is quite pointed. Michael Grandage directed a revival of the play in 2001 (with Roger Allam) and it is this play with which Grandage opened his season at the Noel Coward Theatre. We saw the play, as Christmas treat, on Thursday 27 December 2012. London's music colleges are presenting fascinating array of works this spring, with opera ranging from Mozart and Handel to Tchaikovsky and Britten, and events commemorating Britten, Schubert and Poulenc. There is even the premiere of a film. Let's face it, Christmas is never a time when we anticipate sitting down to listen to or watch a great deal of high quality musical entertainment. For those of us with family and friends around, there just isn't time and the presence of people tends to reduce things to the lowest common denominator. Broadcasters tend to reflect this with a rather peculiar mix of classical music on TV. This year we had a drama about a musical scam, the Ring in pieces on Radio 3, Swan Lake, La Cenerentola, the usual Nine Lessons and Carols and even some plainchant on prime time TV! Richard Rodney Bennett was a composer and performer who seemed to embody the multiplicity of musical styles inherent in post-war Britain. 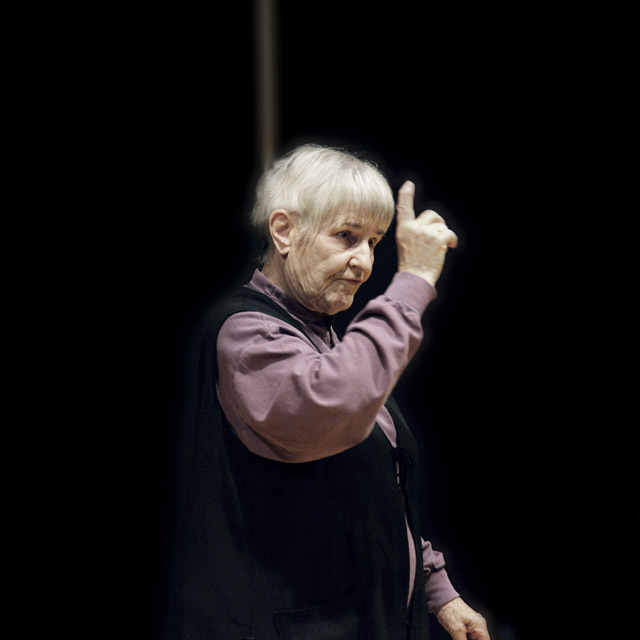 Whereas others wrote and performed in one or two styles or genres, Bennett seemed comfortable in a whole variety, performing jazz, studying at Darmstadt and with Boulez, writing accessible scores. This wasn't stylistic confusion, but a desire to communicate in a variety of genres. He wrote a number of operas, notably The Mines of Sulphur, A Penny for a Song and Victory. Though in the 70's he rather dropped the genre, which was a great loss. The Mines of Sulphur remains one of those operas which hang on the fringes, lacking major performances but always with the aura of something work reviving. Victory, based on Joseph Conrad, was premiered by Covent Garden in 1970. After our difficulty finding sung Evensong in London, it was a pleasure to attend Evensong yesterday at All Saints Church, Margaret Street, for the last Sunday in Advent. We had Byrd's Fauxbourdons for the Magnificat and Nunc Dimittis, with the Magnificat antiphon O Emmanuel, plus the plainchant Alma Redemptoris Mater from Paul Brough and the choir of All Saints; along with a fine, thoughtful sermon from the Rector, Alan Moses. Then this afternoon we attended Solemn Pontifical First Vespers of Christmas at Westminster Cathedral, with Martin Baker and the Choir of Westminster Cathedral, with the Archbishop of Westminster officiating. 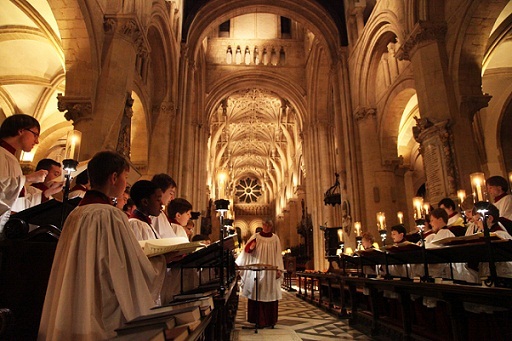 The choir of Merton College, Oxford was established in its present form in October 2008 when Benjamin Nicholas and Peter Phillips became the Reed Rubin Directors of Music. It is made up of 30 graduate and post-graduates, many on choral scholarships, and it has quickly made a name for itself. 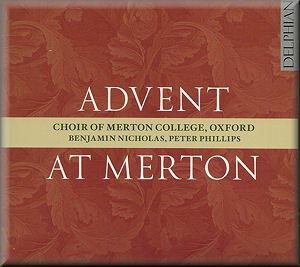 This disc is of especial interest because it includes the first recording of the seven Advent Antiphons which were commissioned for the choir by the college and premiered in 2012. Each antiphon is written by a different composer and the disc extends this by including Advent music by a number of other contemporary British composer. 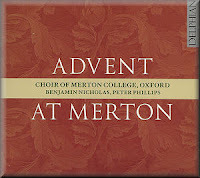 All the music on the disc is Advent themed, being based on the Advent service performed at Merton College. Composer Nimrod Borenstein has a number of performances coming up in the new year but perhaps the most significant are two being given by Vladimir Ashkenazy and the Philharmonia Orchestra. This February they are performing The Big Bang and the Creation of the Universe at De Montfort Hall in Leicester, then in June they will be premiering a new piece at the Royal Festival Hall. I met up with Borenstein to talk about his new works and his attitude to writing music. 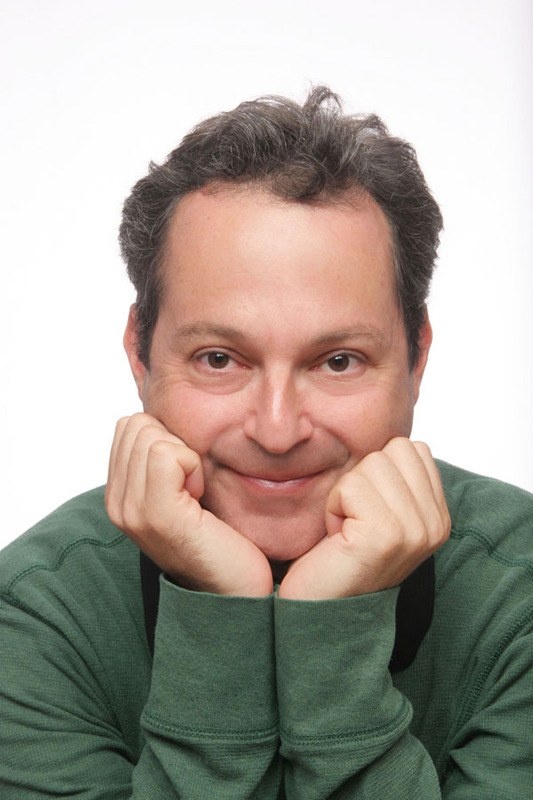 In the flesh Borenstein is lively and articulate, he regularly lectures about music and, unlike some composers, clearly enjoys talking about his music and the process of composition. Last Christmas we had my partner's mother staying with us and decided to go out one evening just before Christmas. We had intended to go to the ballet, but found that everyone (Royal Ballet, English National Ballet and Sadlers Wells) was doing The Nutcracker. This year, my partner and I are on our own so we decided to go to Evensong, only to find that there aren't any, everyone is doing carols. 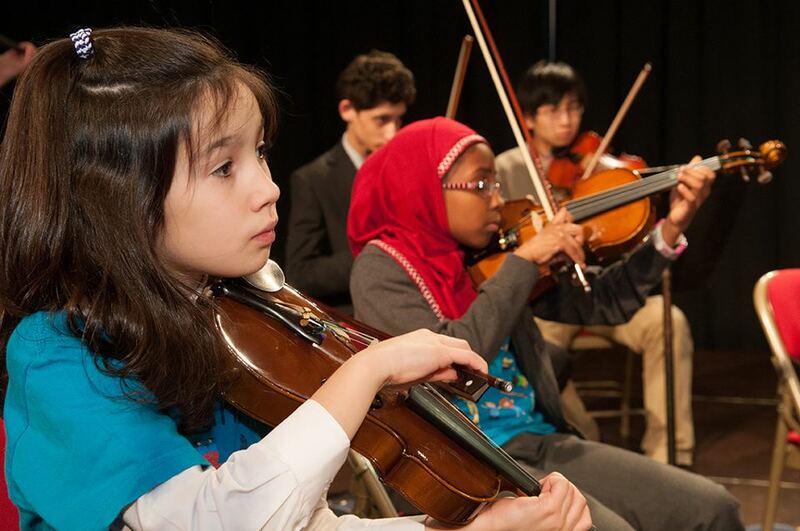 The BBC Symphony Orchestra and the Royal College of Music are extending their learning and participation programmes in collaboration with Drake Music and the Tri-Borough Music Hub of Westminster, Kensington & Chelsea and Hammersmith and Fulham. The new project, Open Orchestra, brings together schools from the three boroughs, both mainstream primary and special primary schools, with pupils from the schools using creative music technology to create new musical material. The resulting work will be played by the BBC Symphony Orchestra at a schools concert in May 2013. 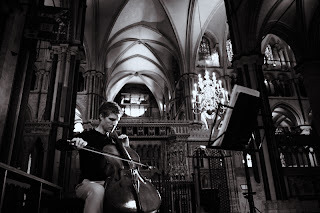 The programme for Around Britten 2013, Matthew Barley's 2013 concert tour of the UK (see earlier post for the first part of my interview with Matthew Barley) is based on the third suite for solo Cello written by Benjamin Britten. Barley chose the third suite partly because he loves it so much, but partly because it offers so much in terms of programming works around it. Britten included fragments of Russian folksong and the Kontakion, the Russian Orthodox hymn for the dead, in the suite and Barley is building on this. He will be playing pieces by John Tavener and Gavin Bryars which echo the themes of spirituality and death. And in fact, all the music which Barley is recording for the CD which accompanies the project will meditate on these themes. Second Movement is presenting another rough for opera on 20 January 2013 at the Cockpit Theatre. This scratch night for new opera returns for a fourth instalment with an eclectic programme consisting of Danyal Dhondy's new version of Pergolesi's La Serva Padrona, a new staging of Peter Longworth's Pavane for an Invisible Princess and a new work by William Marsey based on a recipe for sourdough bread! When I lived in Scotland, some 30 years ago or more, I played the viola in a light orchestra and a couple of the older guys in it had actually had careers in light music before the war. A period when small ensembles, Palm Court trios, would play lighter classical pieces and pot-pourris of popular melodies, all arranged for the available forces. It is a style of playing which, if well done, can be full of charm. 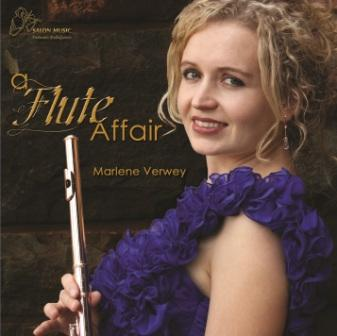 This new disc from flautist Marlene Verwey reminds me of that era, in all the best ways. Verwey is joined by an instrumental group, Anne Marshal (piano), Evert van Niekerk (violin), Theuns Pienaar (violin), Ken Craig (viola), Carel Henn (cello) and Armandt Marais (double bass), and they play a selection of arrangements of popular classics and pot-pourris. 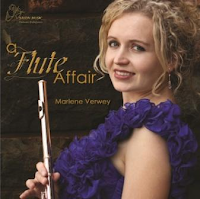 Verwey is from North West South Africa and trained at the the Royal College of Music. This new CD has been produced on the South African record label, Salon Music. Next year, cellist Matthew Barley embarks on an amazing tour of Britain, taking a programme of solo cello music around a bewildering array of venues. Around Britten 2013 will feature concerts, workshops and special events in 100 different venues, with a programme based around Benjamin Britten's Third Cello Suite in celebration of the composer's centenary. I caught up with the cellist to talk about the tour suggested that the schedule was rather punishing. He happily agreed that it was a 'gigantic folly'. But Barley is a performer who constantly liked challenging himself in as many different ways as possible. 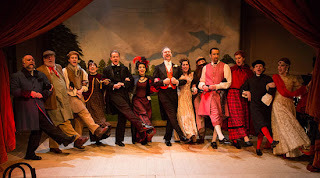 Last night’s performance (18 December 2012) of The Mystery of Edwin Drood!by Tower Theatre Company at Theatro Technis was perfect for getting into Christmas mood. This comedy musical written by Rupert Holmes, first shown in 1985 and the first play to have multiple ending decided by audience vote, has an excellent pedigree. It won for Holmes, Best Book, Best Original Score and five Tony Awards, including Best Musical. 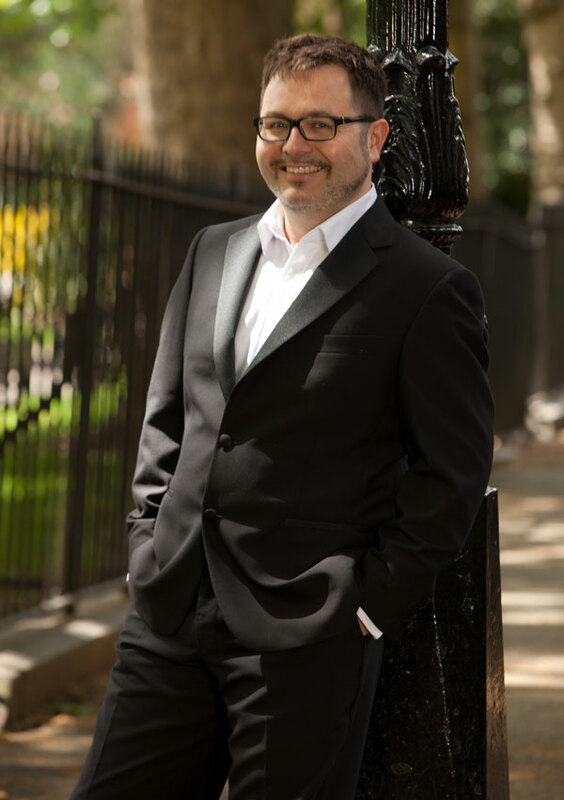 The final concert at this year's Spitalfields Music Winter Festival was given by the Early Opera Company under their director Christian Curnyn. It was a programme of Vivaldi centring on the music that he wrote for the Pieta, the orphanage where he worked in a variety of capacities for many years, teaching violin and writing both sacred and secular music for the girls. The concert was centred on Vivald's Gloria, but Curnyn's programme had a twist, in that the singers for the Gloria were all women, and came from Women sing East, which was formed as part of Spitalfields Music's Learning and Participation programme. I read recently that when J.S.Bach died the manuscripts of his cantatas were divided up between W.F Bach and C.P.E.Bach. C.P.E. Bach carefully preserved his and it is those that form the basis of the cantatas that we known today. The other batch were eventually auctioned off, and have never been seen since. 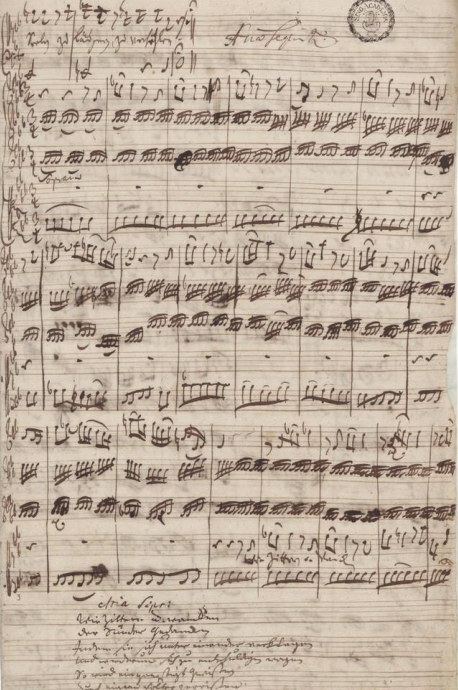 Leaving us with the possibility that somewhere in a library there are a batch of uncatalogued unknown Bach cantatas. It is one of those fascinating things isn't it, the possibility of lost masterpieces being uncovered. We have had works re-discovered recently, though none quite on the scale of an entirely unknown Bach cantata. There was the premiere of a piano work by Beethoven this year (see blog posting) and a Bach aria and some organ pieces were discovered a few years ago. Handel's Gloria was re-attributed to him and a batch of sonatas by Vivaldi were re-discovered in a Manchester Library. 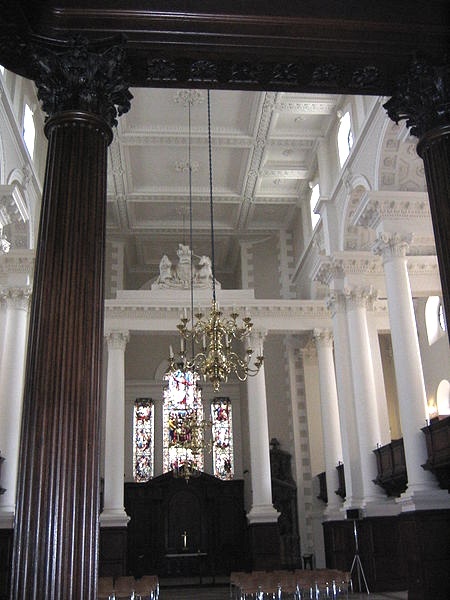 For the penultimate concert of the Spitalfields Music Winter Festival, the English Concert brought a concert with a seasonal theme to Christ Church, Spitalfields on Monday 17 December. Lawrence Cummings conducted the English Concert and the choir of the English Concert in Corelli's Concerto Grosso in G minor, Op.6 No. 8, Christmas Concerto, Bach's Cantata BWV 36, Schwingt freudig euch Empor and Bach's Magnificat in D BWV 243 with the Christmas interpolations. Keeping a work fresh after multiple performances is something of a skill. With a work like Messiah, which comes round annually, it becomes something of an art. 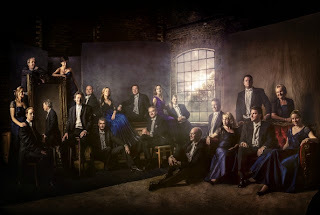 The Sixteen, under their conductor Harry Christophers, were at the Barbican Centre on Sunday 16 December to perform Messiah, a work which they have been performing since the 1980's. 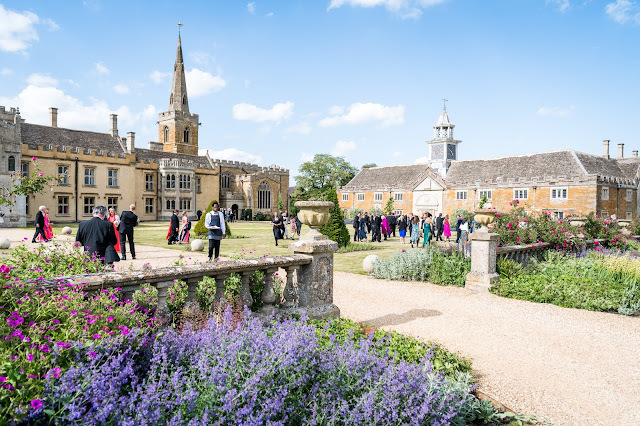 They were joined by the singers of Genesis Sixteen, the Sixteen's training programme for young choral singers, as well as a quartet of distinguished soloists, Carolyn Sampson, Catherine Wyn-Rogers, James Gilchrist and David Wilson-Johnson. Last night, as part of the Spitalfields Music Winter Festival the Gabrieli Consort, along with the Copenhagen Royal Chapel Choir, performed a programme of carols. 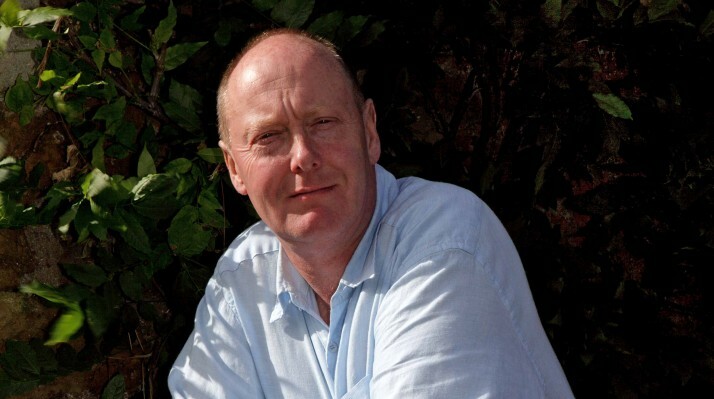 But not your usual selection of carols (although some of words might be familiar) – instead Paul McCreesh chose a set of old and new carols based mostly on mediaeval texts. 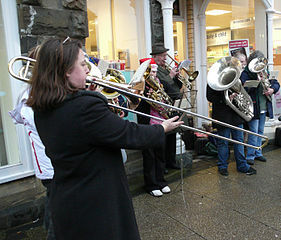 Paul described his choice of carols as being 'beautiful, approachable but serious' and they were by turns sweet lullabies and rousing celebrations. 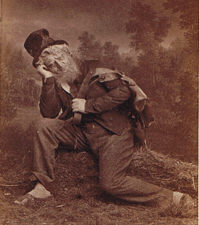 There never really was a definitive version Peer Gynt during Grieg's life-time. He didn't even attend the first performance in 1876 when his music was played with Ibsen's play for the first time. He was unhappy with the artistic compromises he'd had to make to satisfy the orchestra (a small pit-band of 35) and provide cheap theatrical effects. Some of the movements require a full romantic orchestra and it was only at the performances in Copenhagen 1886 that he was able to flesh out the orchestration for a full sized orchestra. But here the music included three of the Norwegian Dances, Op. 35 and the Norwegian Bridal Procession. Grieg himself continued to tinker with the music and there was never a complete edition published in his lifetime. It was, amazingly, only in 1988 that a definitive edition was produced. 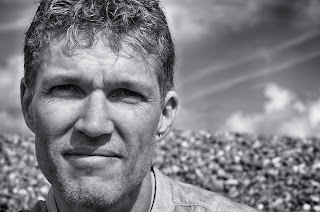 Musicologist Finn Benestad's edition restored the music to a state that never really existed. He used the order and content of that original 1876 performance, but with the Copenhagen orchestration and a few corrections Grieg made late. On disc, perhaps, a variorum approach can be usefully taken, but for his performances of the music in the dramatic context of Ibsen's play at the Barbican on 16 December 2012 with the BBC Symphony Orchestra and BBC Singers, conductor Mark Minkowski chose to use Benestad's edition, with actors from the Guildhall providing extracts from Ibsen's play directed by Alain Perroux. The Royal Opera is letting cameras back-stage for a live look at the workings of the theatre on a typical day. 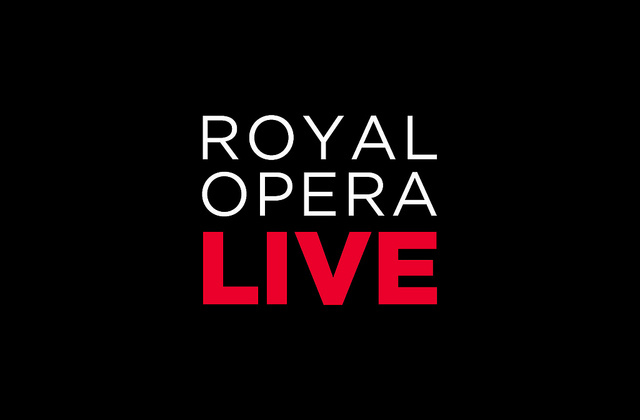 On Monday 7 January 2013 from 10.30am they will be broadcasting live on the Royal Opera House website, the Guardian website and on The Space, the Arts Council's digital arts service. Whilst we can't expect what we see to be really typical, it does promise a fascinating glimpse into what happens backstage and there will be 10 hours of uninterrupted activity including rehearsals, interviews and insights. 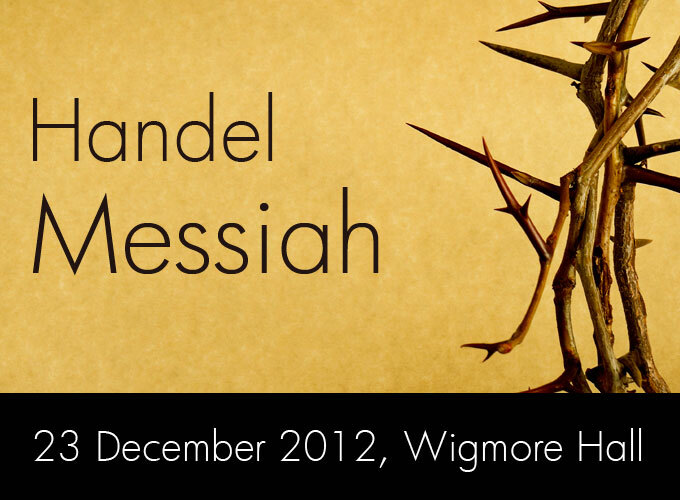 Next Sunday, 23 December, Classical Opera will be performing Handel's Messiah at Wigmore Hall with a strong line-up of soloists. The advance information doesn't say which version they are performing, but whichever it is, there is the chance to hear the company's fresh and lively approach to a familiar work. And the scale will be right, Wigmore Hall being far closer in size to the sort of venue Handel first performed the work in. 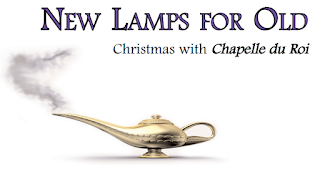 Soloists are Sophie Bevan, Christopher Ainslie, Allan Clayton and Jacques Imbrailo. Fitting them, the orchestra and chorus of Classical Opera onto the Wigmore Hall platform sounds rather a squeeze, but rather fun. 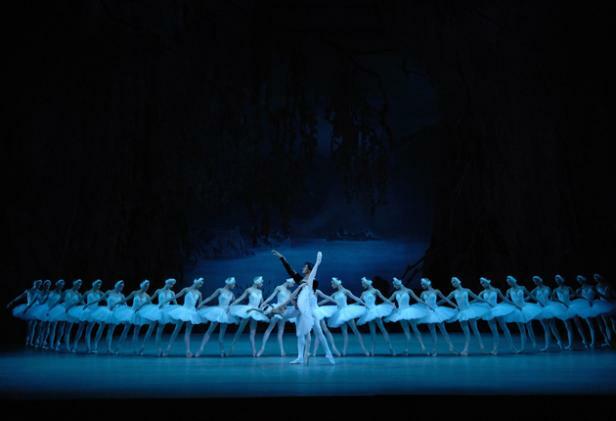 The concert is the second in the company's enterprising 2012/13 London season under the direction of conductor Ian Page. A comfortable pair of black shoes, thermal underwear and a pair of reading glasses are probably the essentials in any choral singer's wardrobe this time of year. Choral concerts, carol concerts; Christmas time is usually full of choral activity, but can also lead to many traps for the unwary both for the singer and the listener. Seasoned singers and audience members know that there are ways to make the season go well without suffering. Co-Opera Co, the opera company which trains emerging professionals, is going from strength to strength and, building on the success of their 2012 with performances of Hansel and Gretel and Don Giovanni in London and on tour, they have announced that in 2013 their operations will be divided into a two tiered-system. 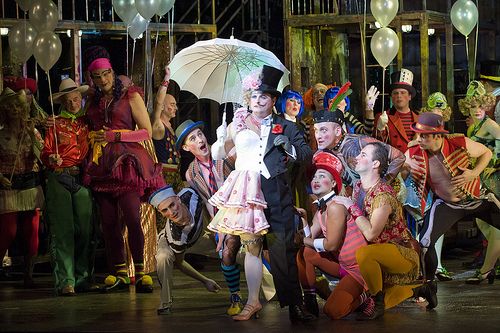 Co-Opera Development Programmes and the Co-Opera Touring company. A busy day, a busy week for Harry Christophers and the Sixteen. Fresh from their concert at the South Bank on 10 December and performing Messiah in Vienna the next day, 11 December, Harry Christophers today (13 December) gets his CBE from the Queen at the investiture ceremony at Buckingham Palace. Whilst, elsewhere in London, members of Genesis Sixteen are performing carols for Classic FM. Genesis Sixteen is the Sixteen's fully-funded training programme for young choral singers. Genesis Sixteen will be joining Christophers and the Sixteen for their performance of Messiah at the Barbican on Sunday 16 December at 6.30pm. (We'll be attending and will be reporting back next week.) Further information from the Barbican website. I only heard Galina Vishnevskaya (1926 - 2012) live twice, but hers was a voice once heard never forgotten. Not just a voice, but artistry as well. 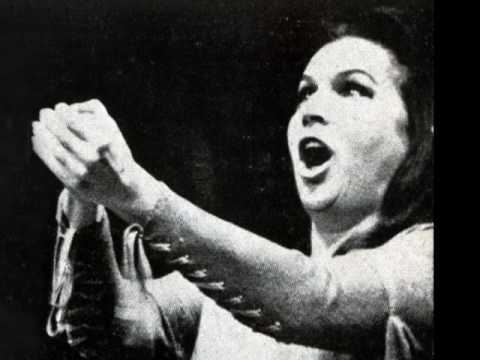 The first time was in Scotland in 1976 in a new production of Verdi's Macbeth conducted by Alexander Gibson (you can hear her in the sleepwalking scene on YouTube). She was then 50. The production (directed by David Pountney) opened at the Edinburgh Festival, with Norman Bailey as Macbeth. I remember it as being rather gripping, with Vishnevskaya a blood-curdling Lady. There was a dangerous, dark edge to her voice and a very Slavic timbre to her diction. She sang the sleep-walking scene on a balcony, holding her hands over it so that they were spot-lit, a striking image, which was accompanied by some striking singing. She could undoubtedly encompass everything, technically, that the role needed but there was always a sort of undercurrent of instability. This worked well in Lady Macbeth, but I did wonder about other roles. Wednesday 12 December saw the massed ranks of the Stockwell Children's Orchestra assembling at the Clore Ballroom on London's South Bank, for their Christmas concert under project director Gerry Stirling. The orchestra consisted of 85 children of primary school age, all part of In Harmony Lambeth which is one of In Harmony - Sistema England's six projects. In fact the orchestra consisted of three orchestras (the Holst, Sullivan and Purcell Orchestras), with the Purcell orchestra for the beginners and the Holst for the most experienced, with the Sullivan Orchestra in between. The Sullivan Orchestra is new having been created since my visit to In Harmony Lambeth in November; the name comes from the fact that Sir Arthur Sullivan was born in Lambeth. For anyone in the City of London this lunchtime, St Botolph without Bishopsgate has an Advent Sequence of Readings and Music, which includes Finzi's Dies Natalis. The movements of the cantata, setting words by Thomas Traherne, will be interspersed with readings. Not a carol in sight! Tenor is Bene't Coldstream accompanied by Jo Ramadan. Further information from the church website. It is good to see that the plans for the development and preservation of Wilton's Music Hall, in London's East End, are coming together at last. They started this summer, with their phase 1 development which encompassed major works to the roofs and basement, plus sound-proofing, ventilation and electrics. This has been funded by the Foundation for Sport and Arts along with numerous charitable trusts. The theatre has also received one of the first grants from the Theatres Trust's Theatres Protection Fund. They have now been awarded a first round Heritage Lottery Fund grant which will enable them to develop phase 2 of the development work. Not everyone wants to get into the Christmas spirit by singing carols, and even if, unlike me, you actually enjoy carols then a little can go a long way. 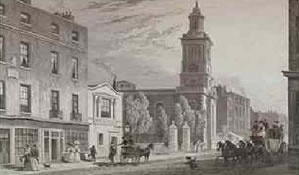 But there are now a number of events around London which provide interesting music for those wishing to escape. The Spitalfields Winter Festival is now on, running from 7 December to 18 December at venues in and around Spitalfields. St Johns Smith Square's annual Christmas festival runs from 13 December to 23 December. And there are one or two intriguing events at the Barbican, plus The Flying Dutchman lands at the South Bank. On this ambitious new disc from Rolando Villazon, the tenor traverses 10 of Verdi's operas from the earliest, Oberto, to the last, Falstaff, taking in some well known arias but also some lesser known ones. 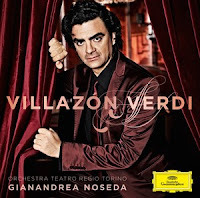 Supported by Gianandrea Noseda and the Orchestra Teatro Regio Torino it is an ambitious undertaking, because few tenor voices can do justice to every tenor role that Verdi wrote. Whilst Villazon does not include Otello, he does include both lyric roles and the more dramatic title role in Don Carlo. 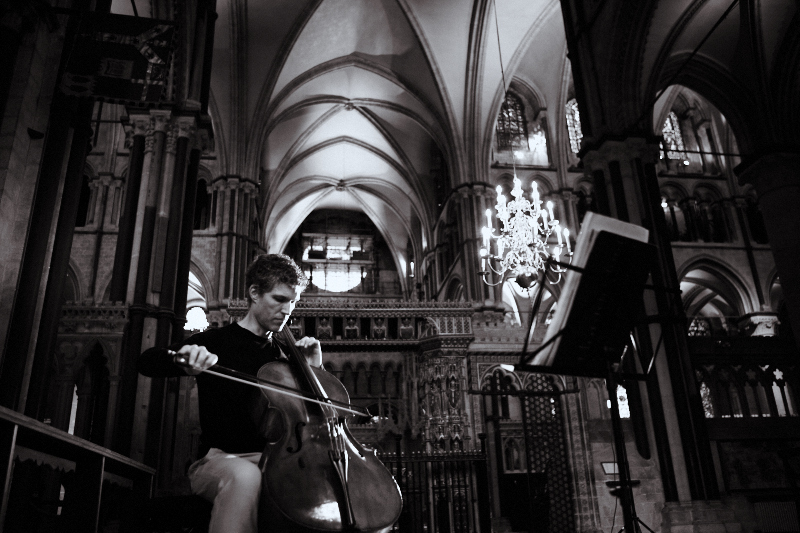 Missing the Brighton Early Music Festival already? The BREMF Consort of Voices is back on Sunday 16 December at St. Bartholomew's Church, Ann Street Brighton, East Sussex BN1 4GP, with their programme Renaissance Christmas Vespers. We are promised music from the Vespers service for Christmas Day by Victoria, Josquin, Michael Praetorius, Rore, Palestrina, Lassus and still more wonderful Giovanni Gabrieli. 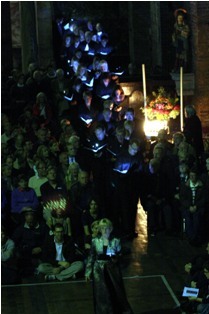 The music will be interspersed with chant and the venue will be candle-lit. And tickets are only £12 (concessions £10). ETO have put together a Christmas list, things they would like in their Christmas stocking. Its not full of the usually exotica and playstations, instead it includes lots of practical help: batteries, electrical tape, food and drink, stage make up, lump of coal (!). 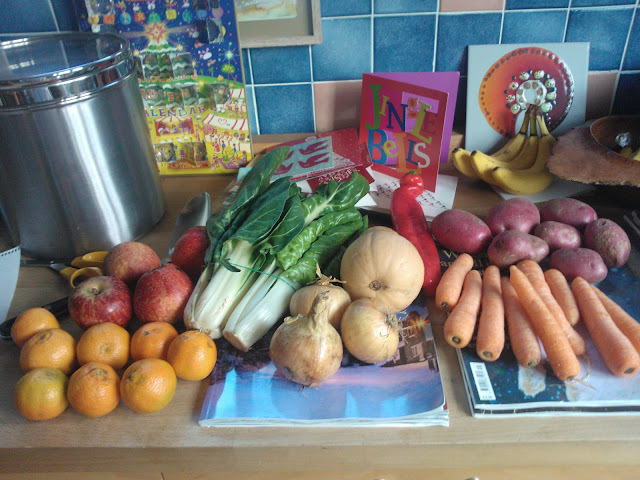 Prices start at a pound, so its easy enough to spend a little and do some good. Go one, visit their website. Next Tuesday (18 December) there is a chance to catch Oxford Baroque in London. The up and coming early music ensemble are making their debut at St. John's Smith Square as part of the venue's Christmas festival. Oxford Baroque's programme O Magnum Mysterium - Music for Christmas from Venice and Dresden is based on the Venetian polychoral style both with Venetian composers and those influenced by it, with music by G. Gabrieli, Monteverdi, Schutz, H. Praetorius and Bovicelli. They are directed by Jeremy Summerly and will be joined by members of the English Cornett and Sackbut ensemble. I have long been fascinated by French grand opera, the style which developed between Auber's La Muette de Portici and Verdi's operas for Paris in the 1850's. It is a style which is still not really understood in terms of modern performance and the best known operas of the genre are those where major composers had to interact with the Parisian genre: Donizetti's La Favourite, Rossini's Guillaume Tell, Verdi's Don Carlos and Wagner's Rienzi. Covent Garden gave a concert performance of Halevy's La Juive a few years ago (2006), but their new production of Meyerbeer's Robert le Diable was their first staging of a French grand opera from this period. Well, the first staging since the war. In fact, the performance we attended on 9 December of Robert le Diable though it was the 2nd performance of this production was Covent Garden's 75th performance of the work. In the 19th century, Meyerbeer's operas were incredibly popular. So Laurent Pelly's production was our chance to find out whether Meyebeer's operas work on stage today. When I was a student I got to know the songs of Tom Lehrer, and his song Alma (hear him sing it on Tube) was my first introduction to Alma Mahler-Werfel (1879 - 1964) and the way her love-life intertwined the artistic consciousness of the 20th century, mainly via her choice of husbands and lovers. She was also a composer and, though initially discouraged by Mahler, wrote and published songs. 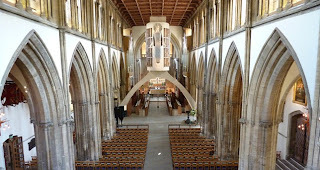 On 18 January 2013 at at St. David's Hall, Cardiff, the Welsh National Opera Orchestra under conductor Lothar Koenigs, are giving a concert which explore's Alma's legacy. 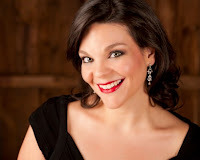 Michelle Breedt will be singing songs by Zemlinsky and Alma Mahler, David Adam's will be playing Berg's Violin Concerto. And the orchestra plays the Adagio from Gustav Mahler's 10th Symphony. And all are linked. As part of their 40 year celebrations last night the Brodsky Quartet performed Franz Schubert’s (1797-1828) Death and the Maiden and GeorgeCrumb’s (b1929) Black Angels at King’sPlace. 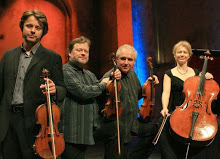 Schubert’s string quartet (no. 14) in D minor D810, also known as ‘Death and the Maiden’, was written in 1824 when Schubert had just been hospitalised with syphilis. As one of his last three string quartets ever written Schubert must have been feeling his mortality – and it is his struggle with impending death which fills this poignant piece. The name ‘Death and the Maiden’ comes from the song which Schubert wrote seven years earlier, based on a poem by Matthias Claudius. This tune forms the basis of the second movement, and is the theme borrowed by Crumb in Black Angels. 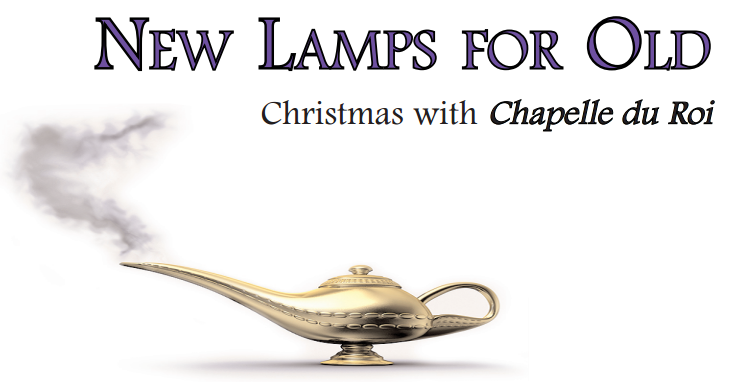 Last night, 7 December, Chapelle du Roi and Alistair Dixon performed their New Lamps for Old programme at St. John's Smith Square. The programme paired renaissance music with contemporary settings of the same texts with music by Tallis, Guerrero, Palestrina, Sheppard, Victoria and Daniel Burgess, Nicholas O'Neil, David Braid, Anthony Mudge Antony Pitts, Roxanna Panufnik and myself, Robert Hugill. American soprano Rena Harms is best known to UK audiences from her performances as Amelia in ENO's recent production of Simon Boccanegra. She will be appearing with Florentine opera as Michaela and with Staatstheater Braunschweig as Fiordiligi and we caught her and accompanist Anyssa Neumann at a private recital in London on Thursday, 6 December, at the end of a run recitals that the two have been doing in the UK. 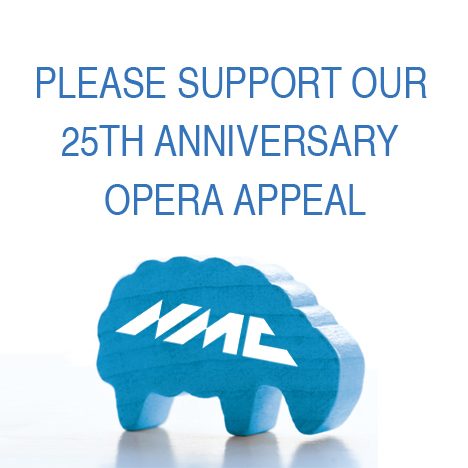 NMC Recordings celebrates its 25th anniversary in 2014 and as part of this they have launched an appeal to raise funds to issue recordings of three significant contemporary operas, by Sir Harrison Birtwistle, Judith Weir and Gerald Barry. Amazingly, NMC is a charity run as a not-for-profit and started with substantial support of the Holst Foundation. This means, of course, that they can take a long view and issue recordings which a commercial organisation would not. So far they have recorded over a dozen contemporary British operas to-date. 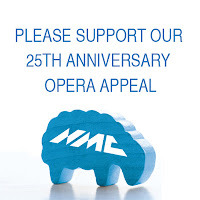 The new appeal needs to raise £43,0000 to support Birtwistle's Gawain, Weir's The Vanishing Bridegroom and Barry's The Importance of Being Earnest. Jonathan Harvey, who died this week at the age of 73, was one of those quiet souls who become eminent without you quite noticing. He studied at St. John's College, Cambridge, and was advised by Britten to take lessons with Erwin Stein. (Stein, formerly Schoenberg's assistant, was an editor for Boosey and Hawkes where he worked with Britten). But Harvey's influences developed quite widely; on a Harkness Scholarship at Princeton, Harvey would meet Milton Babbitt, he discovered Stockhausen and was invited by Pierre Boulez to work at IRCAM. The PRS for Music Foundation's New Music 20x12 project involved commissioning 20 works, each 12 minutes long, to be performed in the UK in 2012. The composers and partner organisations were highly diverse, including Sally Beamish writing for the Orchestra of the Age of Enlightenment, Howard Skempton writing for the Central Council of Bell Ringers, Graham Fitkin writing for the London Chamber Orchestra, Luke Carver Goss for the Black Dyke Band, Gavin Higgins writing for the Rambert Dance Company. Now you can view the works on-line. Just in case you missed it! November opened with the launch of this year's London Song Festival and the tragic news of Robert Poulton's death. We closed with a guest review of the last night of the festival and I participated in the Courtauld Community Choir. 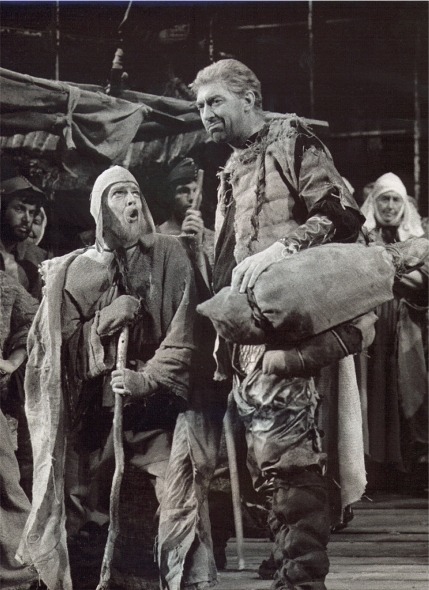 Guildhall School of Music and Drama presented an enterprising triple bill of operas by Massenet and Martinu, ENO were equally enterprising with their production of Vaughan Williams's Pilgrims Progress and Chelsea Opera Group performed Massenet's Don Quichotte with Robert Lloyd. 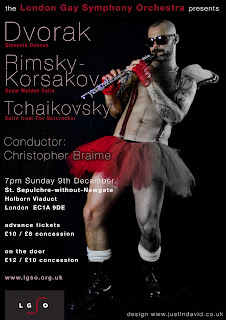 I couldn't resist featuring this concert because of the rather striking flyer design. 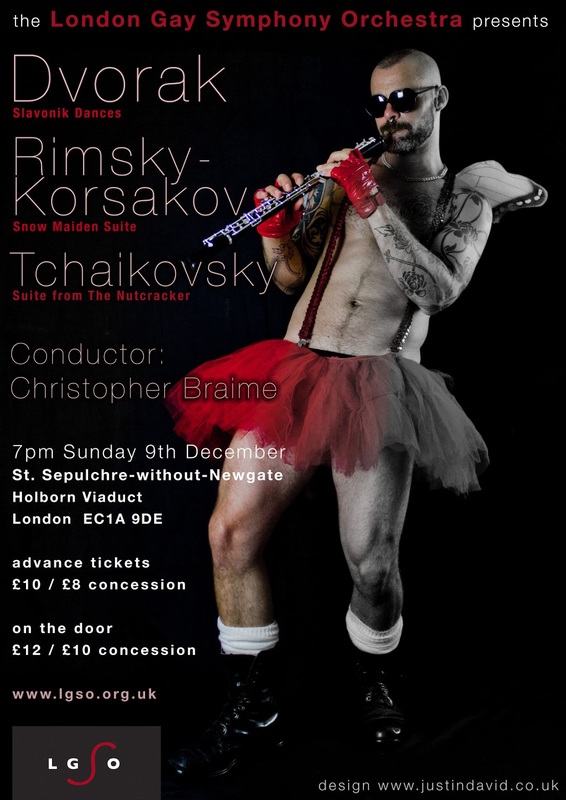 The London Gay Symphony Orchestra, conducted by Christopher Braime are performing their Christmas themed programme on Sunday 9 December, at St. Sepulchre without Newgate. The programme consists of Dvorak's Slavonic Dances, Sibelius's Finlandia, Tchaikovsky's Nutcracker Suite and a suite from Rimsky Korsakov's The Snow Maiden. It is the last item, taking music from Rimsky Korsakov's rarely performed opera which rather lifts the programme out of the ordinary. 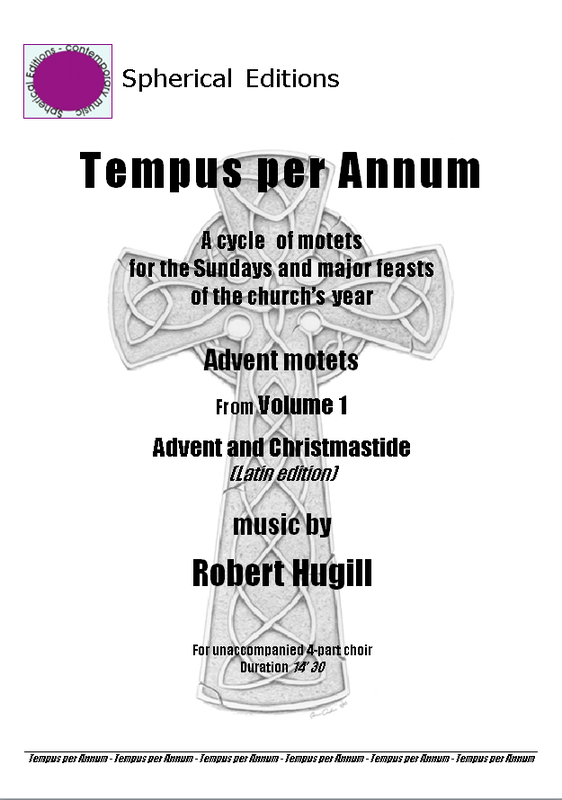 Two motets from my collection Tempus per annum will be performed this month. On Thursday 13 December London Concord Singers, conductor Malcolm Cottle, will be giving the premiere of the Advent motet Propre es tu and on Friday 7 December, La Chapelle du Roi, conductor Alistair Dixon, will be performing Puer natus est nobis which they premiered in 2009. The winners of this year's British Composer awards were announced this week, and the full list can be seen on the British Composer Awards website. Sir Harrison Birtwistle's Concerto for Violin and Orchestra won the orchestral category. The work was premiered by Christian Tetzlaff with the Boston Symphony Orchestra in Boston, and received its UK premiere at the Proms with Tetzlaff, this time with the BBC Symphony Orchestra. 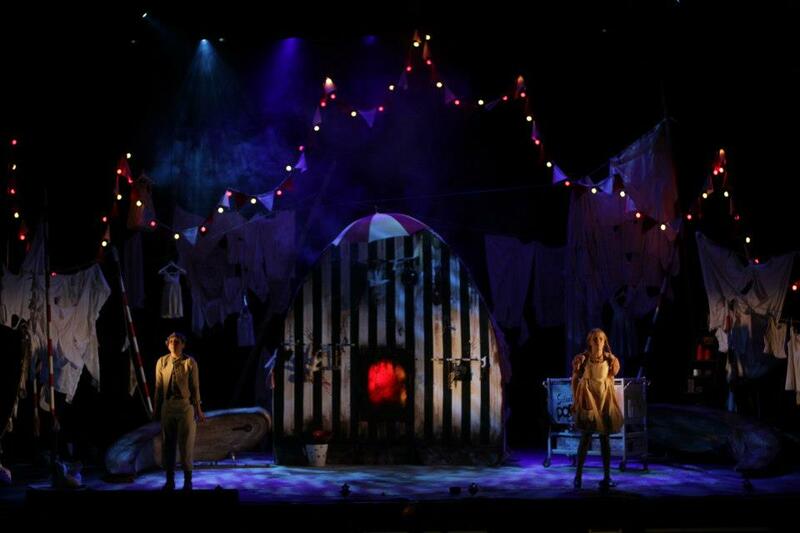 The stage awards went, for the second year running, to a non-operatic work. This time DESH, Jocelyn Pook's evocative score for Akram Khan's astonishing stage work. DESH means homeland in Bangladeshi, and the piece is a journey with Khan discovering his roots. Pook's score mixes in found material from trips to Bangladesh. You can buy a disc of the piece from Pook's website. The Universe of Sound was a brilliant installation/exhibition which enabled visitors to experience what it was like to be really inside an orchestra whilst it was playing Holst's The Planets (see my review of the exhibition at the Science Museum). 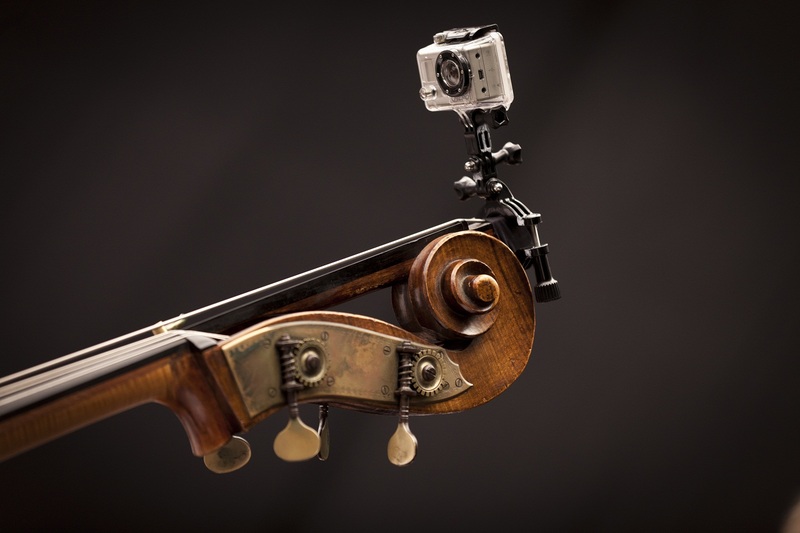 At the centre of the installation was an HD recording made by Esa-Pekka Salonen and the Philharmonia with films being made from various points of view within the orchestra. Now these are available on-line at The Space, the Arts Council's digital download site.